How Does Medicare Work When You Turn 65? Over the recent holidays we had a big birthday celebration for my mom, who turned 65. A milestone birthday, for sure! All her kids and grandkids were there to celebrate with her. We sang over a huge cake with 65 blazing candles and all cheered when she blew them out, with a little help from the grandkids. It was a sweet night full of memories and acknowledgement of the incredible life she has lived and the blessing that has been to all of us. Many of you are approaching the same milestone in your own life. In addition to looking back and remembering all the joys and triumphs of so many years, you may also be looking forward to the future, and wondering how to prepare for what’s coming next. One of the things that is probably on your radar is Medicare. And you may have a few questions. These will include: Is Medicare free at age 65? Do you have to go on Medicare when you turn 65? How do you sign up for Medicare when you turn 65? Does Medicare start the month you turn 65? Are you penalized if you don’t sign up for Medicare at 65? We will talk about all these questions so that you understand your options and any requirements that need to be complied with in order to participate in Medicare. It’s important to be prepared for the next stage of your life and understanding the Medicare program and any rules or regulations for participation will help you address how you will manage your healthcare needs and costs as you age. Let’s start by briefly outlining exactly what Medicare is and what it is designed to do. Medicare is a health insurance program, established by the United States government in 1965. It was created to help those in the aging population find healthcare insurance. 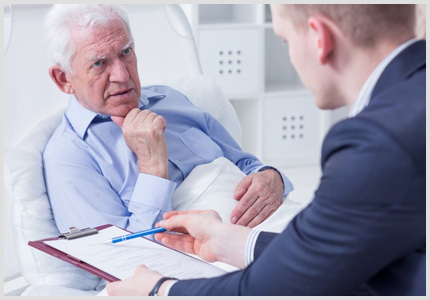 The program gives health care coverage (health insurance) for all people over age 65, or for those under 65 that receive Social Security Disability Insurance (SSDI) or those that have end-stage renal disease (ERSD). It was created because all of these groups—people over 65, and those with disabilities or kidney disease—had a hard time getting adequate health insurance at a reasonable rate. The private insurance sector did not want to insure them. It wasn’t a good return, given the increased use of the healthcare system in these circumstances. Their age, their disabilities, or their illnesses, make them more difficult to insure. In order to solve this problem and make health insurance available to these groups, the federal government established the Medicare program, as a kind of social safety net. The program is paid for in by the Social Security and Medicare taxes which you pay on your income, in part by the Medicare premiums paid by those using Medicare, and in part with funds from the federal budget. IS MEDICARE FREE AT AGE 65? The answer to this question is not a simple “yes” or “no.” In order to answer the question, you will need a little background information. First you need to understand that Medicare is divided into different parts—Part A, Part B, Part C, and Part D. For your reference, Part A and B make up what’s known as “Original Medicare.” Part C is actually a combination plan of both parts A and B and administered by private insurance companies and is known as “Medicare Advantage.” And Part D is for prescription drug coverage. 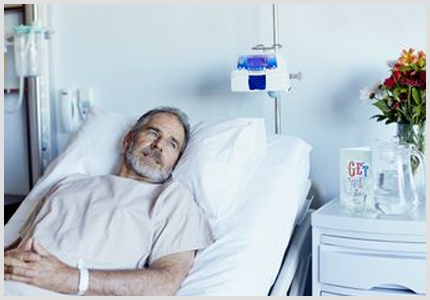 Part A is the section of Original Medicare that covers hospitalization and inpatient care. It covers hospital bills and any costs related to hospital care, which includes medical care in a skilled nursing facility or nursing home. Part A also covers hospice care and home health services. Any health care needs you had while in an inpatient facility are covered by this portion of Medicare, including prescription drugs you take while there and any inpatient medical supplies. Part A covers occupational or physical therapy if you are homebound, and also provides for medication, medical visits, and grief counseling for terminally ill patients. The Part A portion of Medicare is free at age 65, if you have worked for at least 10 years (or 40 quarters) and contributed Medicare payroll taxes. This applies if either you or your spouse worked and paid the payroll taxes for at least ten years. If you did not pay Medicare taxes for ten years, you can purchase—or pay a premium—to receive Medicare Part A if you are 65. If you buy Part A, the premiums vary depending on how long you paid your Medicare taxes. For example, if you paid Medicare taxes for less than 30 quarters (which is 7¼ years or less), then the premium is $437. However, if you contributed Medicare taxes for 30-39 quarters (between 7½ and 9¾ years), the standard Part A premium is $240. See the following chart. Remember, this is just the cost of the premium for Medicare Part A insurance. After the premiums, you will still be responsible for a yearly deductible of $1,364 as well as a coinsurance fee if you stay more than 60 days. After the deductible you are financially responsible for 20% of all inpatient medical bills and services. preventive services and medically necessary outpatient services. 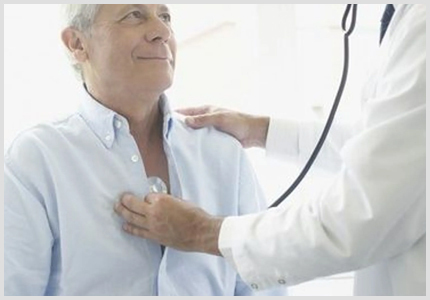 These include outpatient medical care services like doctor visits, lab work, tests, and medical equipment or devices. Preventive services are medical care received in order to prevent illness, like the flu, or healthcare services you use for early detection, like screenings and routine physicals. Part B usually covers ambulance services, mental health services, second opinions, durable medical equipment (DME), and a very limited amount of specific prescription drugs. While most people do not have to pay a premium for Medicare Part A because they have contributed Medicare payroll taxes, everyone who enrolls in Part B must pay a premium. 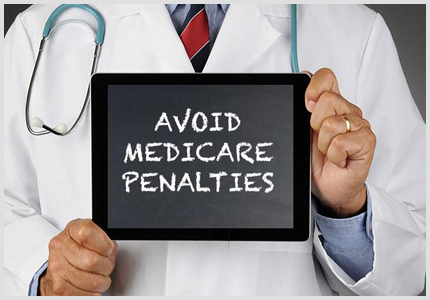 It’s important to note that if you enroll in Medicare Part A, you don’t have to enroll in Part B, but if you ever decide to enroll in Part B after you are already receiving Part A, there are penalties and fees. Your monthly premium for Part B is deducted from your Social Security check, Railroad Retirement check, or Civil Service Retirement check, whichever you receive. If you do not receive any of these payments, Medicare will send you a bill every three months for your Part B premium. If this modified adjusted gross income is above a certain amount you must pay an extra charge on your premium, called the “Income Related Monthly Adjustment Amount” or IRMAA, which is still a mouthful! The federal government provided this chart to show the amount of the IRMAA you will pay depending on your income level. Additionally, Part B has a yearly deductible of $185 dollars. 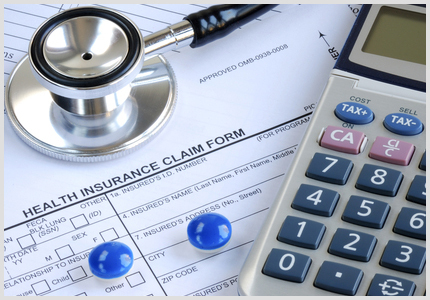 Once you have paid the deductible, you will pay 20% of all your other outpatient medical fees covered by Part B. Part C and Part D plans are administered by private insurance companies and the premiums vary from plan to plan. Generally, Part C plans are less expensive than getting Part A and B through Original Medicare and you will not have as many out-of-pocket expenses in which you have to pay 20% of your medical fees. Also, most Part C plans include Plan D in them so you don’t have to pay an additional premium for a separate Part D plan. When you opt for Original Medicare (Part A and B), if you want Part D it must be purchased with as a stand-alone, separate plan from a private insurance company. Most people don’t pay a monthly premium for Part A. If you buy Part A, you’ll pay up to $437 each month. If you paid Medicare taxes for less than 30 quarters, the standard Part A premium is $437. If you paid Medicare taxes for 30-39 quarters, the standard Part A premium is $240. The standard Part B premium amount is $135.50 (or higher depending on your income). The Part D monthly premium varies by plan. DO YOU HAVE TO GO ON MEDICARE WHEN YOU TURN 65? 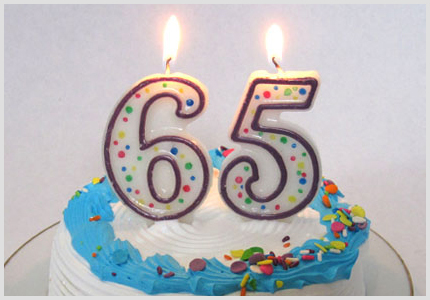 You do not have to go on Medicare when you turn 65, but if you don’t you will forfeit your Social Security benefits. This is not what most people want to do, so most people accept the enrollment into Medicare. 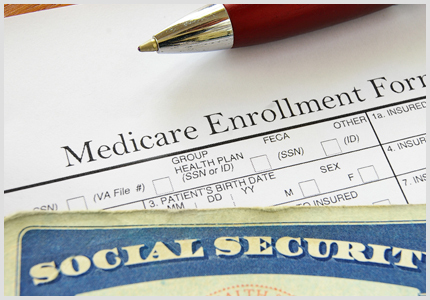 You are only required to accept Medicare Part A in order to keep your Social Security benefits. You can decide not to enroll in Part B that has a premium. If you or your spouse worked and contributed Medicare taxes for at least ten years, you are automatically eligible for Medicare at age 65. 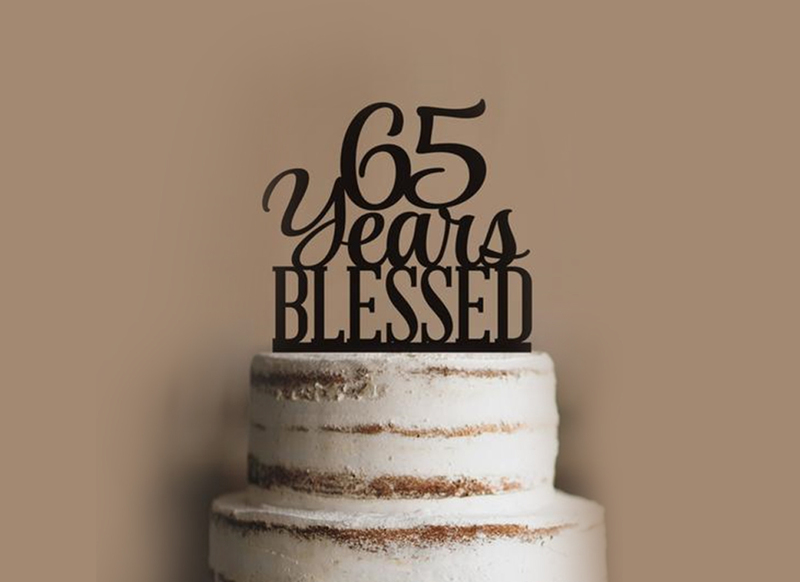 If you are already receiving Social Security benefits when you turn 65, you will be automatically enrolled in the program, both Parts A and B, and your card will be automatically sent to you in the mail three months before your 65th birthday. At that time if you want to opt out of Part B, you will follow the instructions sent with the card and send the card back. Remember that if you later decide to enroll in Part B, there is a penalty for signing up late and it is a lifetime penalty paid every month. 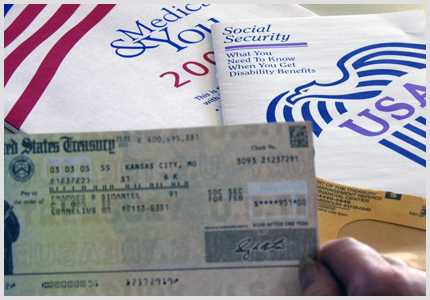 If you are not receiving Social Security benefits yet, you will need to sign up for Medicare. This can be done online through the Social Security administration. 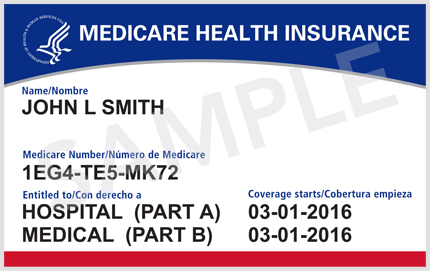 Once you are enrolled in Medicare Part A and B, you can switch you plan to a Medicare Advantage Plan (Part C) if you choose. If you are automatically enrolled in Medicare because you receiving Social Security benefits, then your coverage will begin the month of your birthday. The only exception to this is if your birthday falls on the 1st day of the month, then your coverage will begin the month before. If you are not already receiving your Social Security benefits, and you need to enroll in Medicare, then when your coverage begins depends on when you signed up. When you enroll in Medicare there is a specific “Initial Enrollment Period” for when you can sign up. 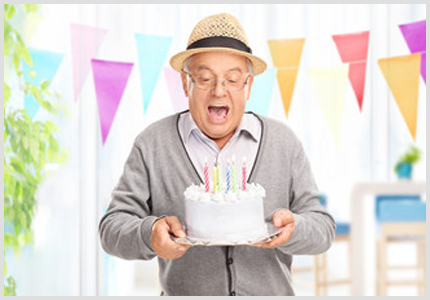 Your Initial Enrollment Period is a seven-month period surrounding your 65th birthday. The IEP is the three months before your birthday month, the month of your birthday, and the three months after your birthday month. (Unless your birthday falls on the 1st day of the month. In that case, everything moves up one month.) You can enroll in Medicare anytime during this seven-month period. Then, depending on when you sign up, determines when your coverage starts. If you enroll during the first three months of your IEP (the three months before your 65th birthday), coverage begins on the first day of your birthday month. If you enroll during your birthday month, the first day of the month following the month of enrollment. If you enroll during months 5, 6 or 7, your coverage begins the first day of the month after you ask to join the plan. The following example may help as well: Let’s say you turn 65 in June. This chart shows when you can enroll and when your coverage would begin. Remember if your birthday falls on the first day of the month, your IEP moves up one month. In many ways we have already addressed this question in our discussion, and the answer is yes. If don’t sign up for Medicare Part A when you are 65 then you will forfeit your Social Security benefits. Also, if you don’t sign up for Medicare Part B when you are 65 you are not penalized unless you decide to sign up for it later. If you sign up later there is a lifetime penalty fee that you must pay for late signup. There are a couple exceptions to the late sign up penalty. One of these includes if you or your spouse is still working and getting benefits from a company with more than 20 employees. In this case you can defer sign up until that healthcare coverage ends without penalty. You will do this in a Part B Special Enrollment Period. The Part B SEP allows you to sign up for Medicare without any penalties for up to eight months after you lose your group healthcare coverage, or you or your spouse stop working, whichever comes first. When you sign up during a Special Enrollment Period, your Medicare coverage begins the first month after you enroll. For example, if you retire and leave your job and your healthcare coverage and sign up for Medicare in April, your coverage will begin on May 1st. Be sure to avoid a gap in coverage by enrolling the month before your job-based healthcare insurance ends. As you can see, there is lots to understand when it comes to enrolling in Medicare. There are a number of important rules and regulations that apply to enrollment and getting started in Medicare. 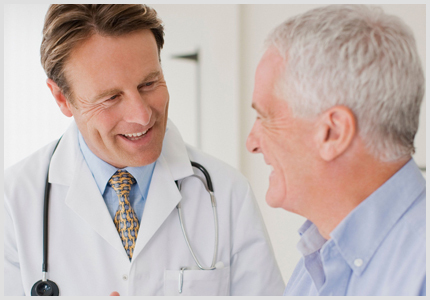 At Insurance Professional of Arizona, we have a team of brokers that are experts in Medicare insurance. We have years of knowledge and understand every aspect of the enrollment process. We are always happy to answer any questions that you might have about the process and how to get the best coverage at the most affordable and reasonable price. Please contact us for help. We can give you a full list of options to meet your healthcare insurance needs and we can walk you, step-by-step through the enrollment process so that you have the benefits you need without ever paying any penalties. To get started, just call us or fill out the contact form on our website. At IPA, our professional Medicare agents are here to help you navigate the Medicare program and obtain the health insurance that’s best for you!